This necklace is quite a stunner! It is gold-plated (I believe) and has an etched design with flowers and leaves. It opens to hold two photos under the lip of the frame with plastic lenses on top. It is hanging from a brass chain along with a gold filled spring ring closure. As this piece is vintage, it does show slight signs of age. The chain measures approximately 18 inches but can easily be adjusted upon request. 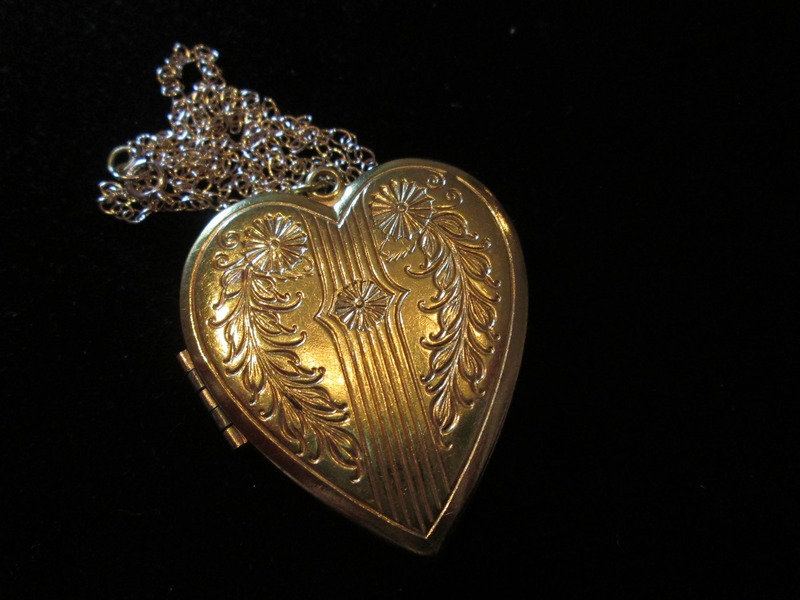 The locket is approximately 2 inches in height by 1.75 inches in width. Beautiful locket, unfortunately it didn’t work out for me, but the seller was very understanding and took care of it very quick!